What is the best full-sized luggage with both wheels and backpack straps? 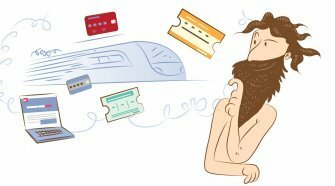 We’ve analyzed all available options as well as the reviews put out by consumer testing organizations, travel bloggers, and professional critics. This is more than just an obsessive research exercise; after 20-plus combined years of living around the world out of suitcases and backpacks, all of us are rather passionate about having just the right luggage companion that both rolls and perches on our backs when necessary. We think the best all-around full-size travel backpack is the Osprey Meridian 28″/75L. For serious (longer, more frequent) travellers, this pack will absolutely improve the voyage. 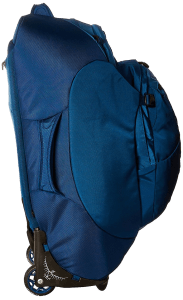 Key features include a detachable daypack with a laptop/tablet sleeve, water bottle pockets, an easy-access top pocket, and detachable backpack straps. Osprey also has a solid reputation and an established tradition of following up on its extensive warranty. But while it may be the best, it’s not the cheapest; if you’re on a budget or don’t travel much, see our cheaper recommendations below. Why Are Rolling Backpacks Best for Travel? Rarely Available: The REI Co-op Stratocruiser Wheeled Luggage 26"
Originally published: July 31, 2017. Updated on July 13, July 14, and July 17 2018 with latest info, removed outdated material. 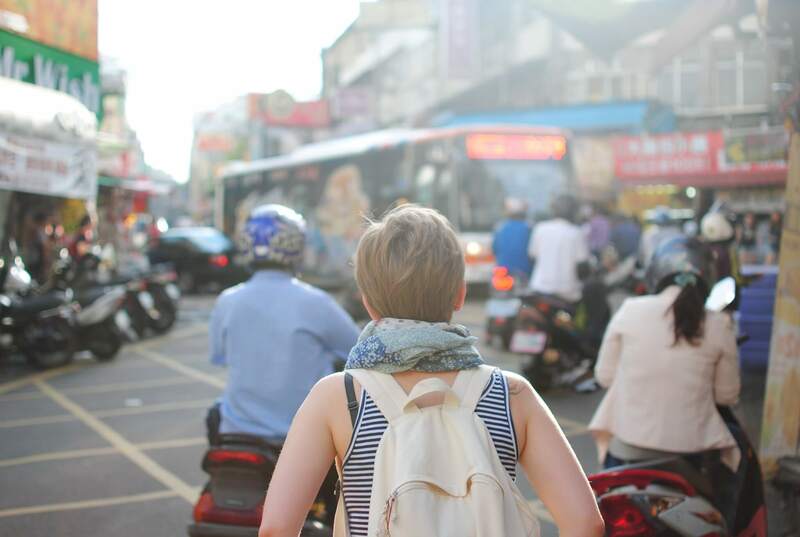 We firmly believe that wheeled travel backpacks are the best way to move your stuff through the world, whether in airports, on European city streets, in Brazilian small towns, or out deep on Chilean trail. We roll them whenever we can, and that isn’t just about laziness and saving our backs; not being strapped under a load makes us much more willing to take interesting detours or to drop off our stuff on arrival and still have energy for a night of dancing. And when the road gets too rough to roll on, full convertibility into a backpackers’ pack is a lifesaver. We do this when going off-road, up a staircase, or even hopping onto a city rental bike to get to the final destination. 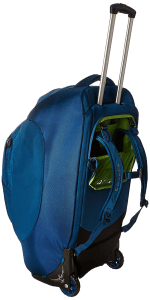 We (like most seasoned backpackers) travel as light as possible, and those who are up to that challenge should check out the rolling backpack carry-on that we recommend. 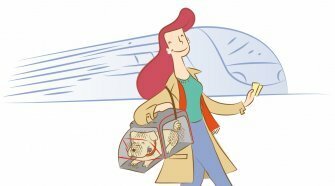 But if you just can’t whittle your load down to a carry-on, or if you are travelling in a two-or-more-some and want to carry one consolidated bag, a large rolling backpack is a convenient and comfortable delight. Osprey is a popular brand among the very well-traveled and the geeks who blog about how much they travel, and the company has built up a reputation for serving us well post-sale through follow-up on its “All-Mighty” guarantee, which covers just about anything that could go wrong, for life. Osprey’s packs are thoughtfully designed, lightweight, and durable — but this is also true for packs from a few great backpack competitors. Osprey really stands out from them though in its dedication to providing a small range of seriously well-designed packs with wheels. 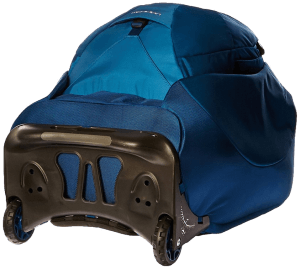 Osprey excels in particular by offering an integrated daypack, sturdy wheels with high clearance for rougher terrain, and thoughtfully designed and placed organizational pockets. The Meridian 28″/75L isn’t the only Osprey option here; we’ve separately run a full comparison of all three large Osprey wheeled convertible backpacks. But to sum up, we found that the Meridian 28″/75L offered the best combination of features that most travelers will actually benefit from, at the most reasonable size. The Meridian 28 is a sturdily built bag that’s ready to deliver over a lifetime of road adventures. Let’s dig into what makes this bag so easy to recommend. A useful, thoughtful daypack that can detach from your main bag is arguably the most important feature on luggage like this. Attach the included Meridian daypack (it snaps on with just three buckles), and you’ve got all your stuff in a single, easy-to-roll luggage piece. Detach it, and you have a separate carry-on bag or daypack. The daypack has a padded sleeve for a 15″ laptop in its 16L main compartment, a heat-embossed top pocket for sunglasses, phones, and other fragile items, an organizational front pocket, and two mesh exterior side pockets for water, snacks, or other quick-access items. The daypack has a comfortable cushioned and ventilated back panel (to prevent your back from getting too hot), padded shoulder straps, and a sternum strap with an integrated safety whistle. W heels are a stress point where luggage tends to fail; but this is an area where reviewers of the Osprey pieces never complain. The Osprey Highroad Chassis (also used on all of its similar wheeled luggage) provides a durable but lightweight aluminum frame and composite base with a fiberglass matrix inlay; the wheels are in sealed bearings. We’ve had one Osprey bag with the same wheels and housing in heavy round-the-world use for nearly two years, and unlike with other roller bags we’ve tried, the Osprey base barely shows a scratch. It’s great to have any wheels on your backpack, but with wheels like this you’re ready for truly rough terrain and much less likely to feel the need to throw it up on your back. Osprey’s prowess with backpacks comes into play on the main bag’s padded fabric pack panel and padded shoulder harness (backpack straps and sternum strap with integrated safety whistle). These straps can be quickly folded up and zipped into the unit when not in use, or else removed completely to give you slightly more space. The straps’ pocket also serves as a convenient exterior pocket for magazines and other quick-access items. The zipper opens the main compartment up completely to make it easy to access anything in the bag. There are side organizational pockets (one mesh, one solid) and compression straps. The zipper is lockable. The piece has padded, well-placed “low-profile” handles that stay out of the way when you don’t need them (unlike some luggage handles that stick out and catch hold of passing obstacles). They’re usefully placed and there when you need them, but out of mind when you don’t. This pocket gives you an easy place to store anything that you need quick access to. It’s built to fit standard toiletry bags (we recommend this one) or for Osprey’s Airporter Travel Cover. 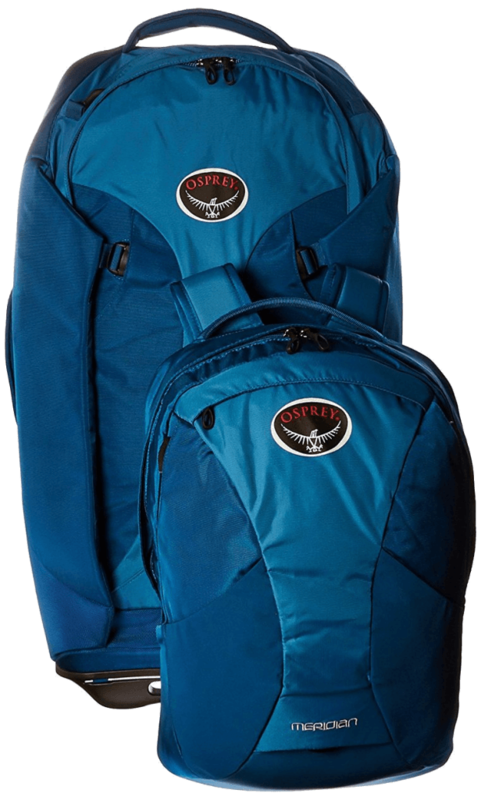 Osprey has long been famous with serious, outdoorsy backpackers for the durability and convenience of its packs. The more urban travel bloggers and journalists who tend to opt for wheels generally gush about the Osprey Meridian 28″/75L; they tend to feel that it holds up well over time and that its features get lots of practical real-world use. Amazon customer reviews are positive across the board (but it appears that some of them received free review items through Amazon’s Vine program). 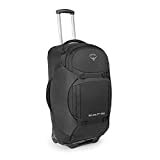 Osprey’s bags are generally not the cheapest options; the company’s strategy appears to be to excel in durability and any follow-up service if needed in order to maintain the brand’s reputation with travelers and loyalty for when they then go on to purchase other types of gear. Tipping: If the daypack is attached and very heavily loaded, this can sometimes cause the entire unit to tip over. Unfortunately, this is also a complaint from customers and reviewers with every available competing wheeled bag with attached daypack. Solutions if the daypack is fully loaded and causing tipping: Lean the bag against a wall or a post when you stop rolling, carry the daypack on your back, or transfer larger, heavier items in the main bag. Price: At around from $270.00, the Osprey Meridian 28″ is pricier than most of its competitors. You can check Ebay for used options (though people seem to rarely part with this bag). Cheaper alternatives to Osprey bags are detailed just below. The Meridian’s price hurts a bit less when you consider that Osprey guarantees that it will fix any problem that should arise with the bag in your decades (!) 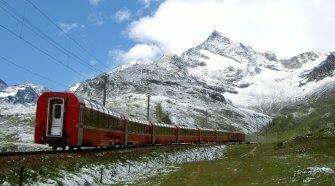 of travel to come. Here at SelectoGuru, we think it’s better to spend money on experiences than stuff, so we had to think long and hard before recommending the Osprey Meridian, as it’s frankly rather expensive. But for trips lasting a few weeks or months, in which one is living out of a travel pack, we think it’s worth that extra cash outlay at the beginning, as a good pack that causes us no issues is definitely going to increase our ability to be comfortable, light, and free, and to get out and enjoy the experiences that matter. You can do your own calculation; consider the ~$100 you could save with the cheaper options, and what would buy you in terms of meals, concerts, weird travel adventures and the rest (your mileage from $100 depends on where you’re going and how you travel). If you are just going to be using your wheeled travel pack for the occasional short trip, you perhaps don’t need the Osprey Meridian and your money would be better spent on adventuring itself. This is the cheapest wheeled travel pack that we can recommend. The largest model of the High Sierra AT7 Wheeled Duffel is 32″ long and costs about half as much as the Osprey Meridian 28″. This piece lacks an attachable daypack, which is for us a major drawback. The 32″ bag is quite spacious and can be divided with a zippered panel. In general the reviews from bloggers and on Amazon are mainly satisfied with this piece, though there are complaints about the quality of the manufacturing (alignment of the construction and durability of the zippers and wheel housing). There are simple straps that slide out but not much in the way of padding so this would definitely not be a pack to carry on your back for any extended period. High Sierra offers a simple warranty but not everyone is happy about their follow-up. Aside from the Meridian 28″, Osprey offers three other excellent large wheeled travel packs. We have a full comparison here. To sum up, when compared to the Meridian 28″, the Osprey Ozone Convertible 28″ is lighter and a bit smaller. The two Osprey Sojourns are more durable, and more built for serving more time strapped onto your back without making you feel it. The Sojourn 25″ is smaller and the 28″ has a huge 80L capacity; neither Sojourn comes with attachable daypacks but they connect well with the Osprey daypacks, which can be purchased separately and attached. We think that the main deal breaker for the following two packs is that they lack an attachable daypack; we’ve found this to be an incredibly convenient feature for travel. It allows us to have all of our luggage in one piece when attached, but then have a separate small bag to use as a carry-on or on a day out exploring. If you, however, don’t care about that, then these might work for you. 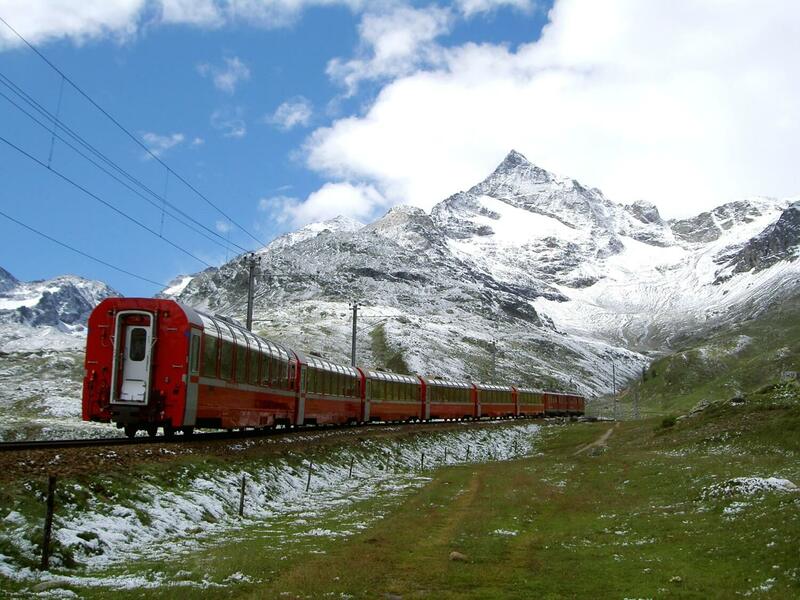 Both Eagle Creek and Lowe Alpine are highly reputable brands with great satisfaction among reviewers and backpackers. They’re also a bit expensive in terms of what you get for features, though the build quality is there and they offer excellent guarantees. The Eagle Creek Lync System 29 Convertible Luggage is a durable piece from a brand with loyal customers, pretty-good reviews, and great consumer-test organization rankings. The piece lacks a padded laptop sleeve. The concept of the Lync system bags (there are also smaller versions) is that you can remove either the wheels or the straps depending on the type of trip that you’re taking. We think it’s great to be carrying both, and that completely removing and going without the wheels especially is a bit silly. 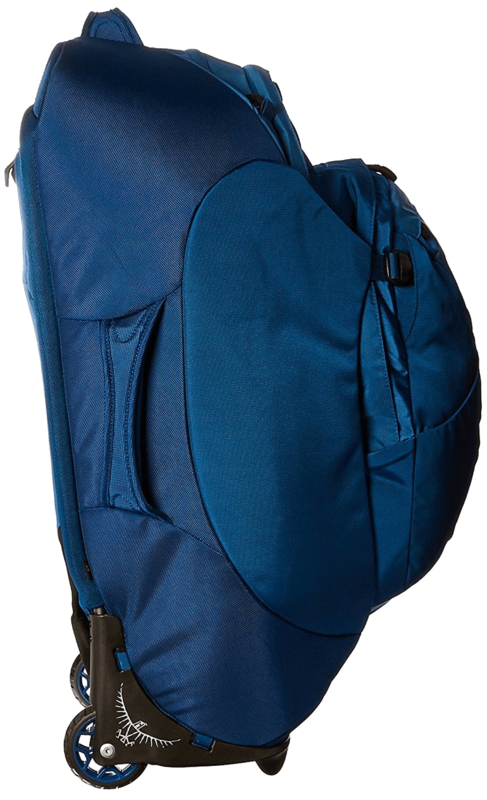 Also, we think Osprey’s large rolling backpacks are likely to be more durable than this Eagle Creek Lync System 29, because Osprey has integrated the wheels and straps so well into its single solid designs. The Lync system is a bit like having a snap-on luggage cart for your backpack (so if that’s your style, see our full comparison of luggage carts). Lowe Alpine likewise has maintained an excellent, lasting reputation with backpackers for the durability and thoughtful design of their traditional rucksacks. They have both 60- and 90-L wheeled offerings, which we expect would hold up just as well. But since they’re as expensive as the Osprey Meridian and don’t have detachable daypacks, we think that most people will not find them as useful. But their metal buckles, tamperproof zippers, and abrasion resistant fabric should make them incredibly durable. The REI Co-op Stratocruiser Wheeled Luggage 26″ was a cheaper alternative but appears to have been discontinued. If it is not available there you may be able to find it used through this search on Ebay. While it’s marketed at 71L, its dimensions are significantly smaller than the Meridian’s. To summarize the chatter from backpackers on forums and travel bloggers, this outdoor gear store’s own packs are excellent and only a slight step down in comfort, practicality, and good looks from Osprey packs. Reviewers of the Stratocruiser series generally adore the design, which is similar to that of our main pick, and there are some long-term users. However there are complaints as well about the comfort of the straps and weight distribution as a pack, the quality of the zippers, and the small size of the daypack (it’s much smaller than the Meridian’s). The Stratocruiser 26″ is not just smaller but also a pound and a half lighter than the Osprey Meridian 28″ at 7 lbs. 12 oz (3.5 kg). The hip belt and shoulder harness system are fully detachable. 18 x 11 x 7 in. 19 x 13 x 8 in. 18.5 x 11.5 x 5.5 in.